New Releases Are Upon Us! 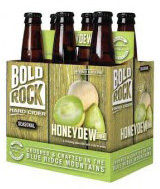 Bold Rock Hard Cider announced the widespread release of its new spring seasonal, Honeydew Cider. This limited release, made with locally picked Blue Ridge apples and infused with the bright flavors of real honeydew melons, is now available on draft and in six packs where Bold Rock is sold. The award-winning regional craft cidery’s variety of hard cider styles can now be found across the Mid-Atlantic and Southeast from Pennsylvania through South Carolina, including Tennessee. Honeydew Cider blends the tartness of fresh-pressed apples with a subtle sweetness from added natural flavors of real honeydew melons. Perfect for barbecues and beach days during the sunny months of spring and early summer, Honeydew is crafted to offer vibrant fruity notes that complement a crisp, refreshing apple finish. Honeydew joins Bold Rock’s popular original styles Apple and Draft, as well as their newest release, Bold Rock IPA or India Pressed Apple, a dry hopped cider. For additional information, visit BoldRock.com. Blake’s Hard Cider Co. has introduced Aurora, a fresh cider new to their seasonal lineup. Aurora is made with fresh-pressed, Michigan apples from Blake Farms, handpicked rosemary, an assortment of tart lemons and, of course, all natural peaches. In an attempt to mimic the cosmic embrace the sun and atmosphere create lights with; they’ve paired peach and rosemary with a bright touch of lemon. Trade in the flannel for a t-shirt and get ready to sing, “Hell yeah, I remember Aurora.” Michigan’s leading craft cider producer is announcing warm weather is finally here to stay. Aurora will be available to Blake’s Hard Cider distributor partners in Michigan, Ohio, Kentucky, Indiana, Illinois, Wisconsin, and North Carolina in 22 ounce bottles, 1/6 bbl. kegs and 1/2 bbl. kegs. For additional information on Aurora or where to find it, visit BlakesHardCider.com. 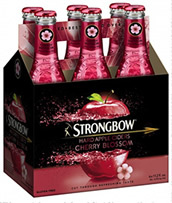 Strongbow Hard Apple Ciders, unveiled its newest flavor, Strongbow Cherry Blossom. The new flavor and recipe delivers a cut-through, refreshing taste with delicate cherry blossom and red fruit aromas and an underlying note of apple, in a sophisticated shade of red. Cherry Blossom was launched in six-packs at the end of March and will eventually replace Red Berries in the Strongbow Variety Pack in June, alongside Strongbow Gold Apple, Strongbow Honey and Strongbow Ginger. The new flavor will also be competing at the next 2016 World Cider Championships in April. To find out more about Cherry Blossom (4.5% ABV) and Strongbow, visit Strongbow.com. 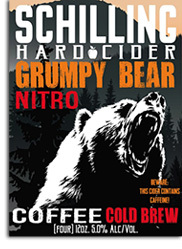 Schilling Cider released its much-anticipated Grumpy Bear cold brew coffee nitro hard cider. Not only is Grumpy Bear the first nitro hard cider anywhere in the world, but its collaboration with Street Bean Coffee is creating a notable social impact in the Seattle, WA community. Street Bean is a non-profit coffee shop located at 2711 3rd Avenue in downtown Seattle. Their mission is to provide on the job training for street-influenced young adults looking to transition from street life to gainful, long-term, employment. They accomplish this by providing real world skills-based training, allowing individuals to learn, fail, and grow in a safe and accountable environment. Grumpy Bear drinks like a cider and pours like a stout. It will be sold in stores in four-pack 12oz. sleek cans. 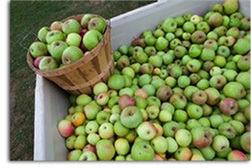 To learn more about the cider and Schilling Cider, visit SchillingCider.com. To those outside of Oregon and its surrounding area, McMenamins may be just a name, but to the local area, McMenamins means creativity, history, and community. The family name has become a brand which has its hands in everything from hotels and spas to golf courses, bars, and music venues. The brand was not always as big as it is today. In 1974, two McMenamin brothers opened the company’s first pub, from there more and more properties were purchased, all of them having historical significance. The company has set themselves apart by purchasing old buildings which have been dilapidated and has maintained historical accuracy while bringing them back to life, turning them into destinations for travelers and entertainment for locals. Among the many properties the McMenamin Company owns, they also own two distilleries, twenty five breweries, a coffee roaster, a winery, and a cidery. With over 50 historic properties in Oregon and Washington, McMenamins employs full time historians whose job it is to dig up all of the history on each property. 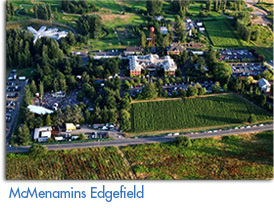 McMenamins has hotels built in establishments such as schools, churches, farms, and coming soon, an elk’s lodge. The company has an archive where information and historical documents on all of their properties are kept safe. It is one of the greatest resources for those looking to delve into the local Oregon history. Besides the McMenamins name, the other theme that ties all of these buildings together is the creative, unique, and whimsical artwork which adorns the McMenamins establishments. To remain consistent with all of their artwork, the company has employed five artists for the past thirty years; these artists have done all of the artwork throughout the buildings. The company’s original cider is created using Hood River apple juice which consists of mostly desert apples. The juice is fermented dry then diluted to a generous 6.5% ABV. The semi-sweet cider comes out pale straw in color with notes of fresh apple and just the most subtle hint of spices and honey. The goal of the company was to create a line of cider that would complement the delicious food served throughout all of McMenamins’ many establishments. With delicious cider, excellent food, live music, and a whimsical one of a kind experience at any establishment you visit, it is worth a trip out to beautiful Oregon to check out one of McMenamins’ many hot spots. And don’t forget to bring a growler with you as all of the ciders are available in draft only! 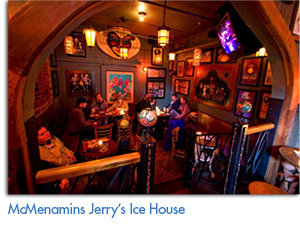 For more information and to check out all of McMenamins properties, go to McMenamins.com. Photos courtesy of McMenamins. Sonoma Cider, the award-winning producer of such innovative hard ciders as The Hatchet, The Pitchfork, The Anvil, and The Washboard, is adding a spirit to its portfolio: Apple Brandy, a Calvados inspired organic brandy which launches May 1, 2016 and is the company’s first branch out into the craft spirit industry. Sonoma Cider is the popular upstart brand in the exploding hard cider category, rapidly gaining a reputation for its certified organic ingredients and crisp, distinctive flavors. Founded in 2013 by a father-son team, David and Robert Cordtz, Sonoma Cider has been earning high praise from critics and consumers alike. Over the past few years, the brand has been a staple in the winner’s circle at various top competitions across the country, including being named the 2015 Cider Producer of the Year at the New York International Beer Competition. Robert Cordtz, co-founder and VP of Operations at Sonoma Cider, adds, “I always love teaming up with friends on projects. When I found out my buddy Jason Jorgensen of Alley 6 Craft Distillery was opening a distillery in Healdsburg, I knew immediately we had to distill some cider. 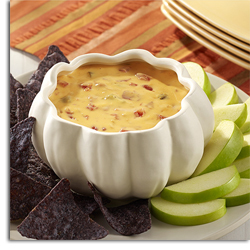 The result of our collaboration was this satisfying, smooth, smoky liquid gold. Our Apple Brandy really shows the range of what we can create with organic apples." Sonoma Cider’s Apple Brandy combines the juice from five varieties of organic apples that are fermented at Sonoma Cider’s cidery and double distilled via an alembic copper still at Alley 6 Craft Distillery, also located in Healdsburg, CA. After distillation, the apple brandy is aged in American oak barrels anywhere from eight months to one and a half years, depending on the size of the actual barrel (the smaller the barrel, the quicker the aging process). The result is a unique organic apple brandy that is incredibly smooth on the palate, creating notes of cinnamon baked apples, honey and vanilla on the finish. The Apple Brandy is available in 375 ML hand-filled bottles with a suggested retail price of $34.95 and 42.5% ABV (85 proof). To purchase the spirit, go to SonomaCider.com/shop, or visit Sonoma Cider’s new taproom when it opens in Healdsburg, CA later this year. For more information visit Sonoma Cider online at SonomaCider.com. Photo courtesy of Sonoma Cider. When looking at established cider companies, it is hard to believe they once began with only hard work, a dream, and a leap of faith. In trying to understand how one goes from idea to full on cidery, we spoke with Eastman’s Forgotten Ciders who was more than happy to talk about how their cidery came to be, the hurdles they faced, and the current state of their cider company. Although the Eastman Farm, located in Wheeler, Michigan, has been in the family for over one hundred years, the cider story first begins with the father and son team of Doug Eastman and John Eastman. At the time Doug owned the farm, his son John became fascinated with growing apple trees. John would collect seeds like many collect baseball cards and would plant many varieties of apple trees throughout the farm. His goal was to grow as many varieties as possible and he did quite a good job as the farm now has over one thousand apple varieties grown on the property. While he didn’t know it at the time, by planting so many different types of apple trees, John set the family farm up to become somewhat of a unique attraction years down the road. Although Doug and John Eastman never ended up producing cider themselves, they lay the foundation for what would later become Eastman’s Forgotten Ciders. As the years went on and Doug Eastman aged, it started becoming harder to care for the farm and the land in the same way he used to. Doug eventually realized it was time to pass the farm down to his family who could maintain it the way it deserved to be. Doug’s family all got together and purchased the land. 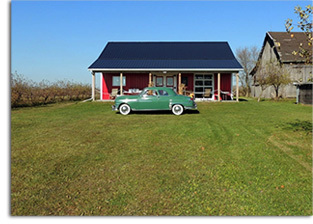 Tim, Cindy, Rafe, Nicole, Casey, and Erika all became part owners of the Eastman Farm. At first, cider was not in the plan, the family started off selling at local farmers markets, and to other orchards; they even sold apples to other cider makers before realizing the potential these crops had. The family began their journey into cider making slowly, it all began with cider they started to make for their own personal consumption. After making their personal cider for a while, the idea came to them to enter the cider into the GLINTCAP cider competition. The family knew there was something to their cider making skills when they medaled not once but three consecutive years! With their proficiency at making cider increasing and their ability to maintain the farm solely relying on apple sales, the family looked into getting into the exponentially growing hard cider industry. When Eastman’s Forgotten Ciders first started up, the family had been closely following the cider industry. They already knew they could create quality cider but at this point, they were afraid they were too late to jump into the cider boom. With many craft cider companies popping up in the market, Forgotten Ciders wanted to make sure their ciders would be well received and not get muddled in with all of the new cidery start ups. Before any cider could get made, the company had to face its next hurdle, all the paperwork to be considered a full functioning cidery. 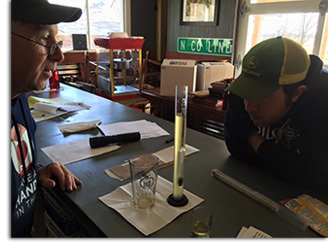 From government documents, to inspections, to label approval, it was a long and somewhat confusing journey for the new cider owners who have never needed to go through that process before. Despite the mountain of legal paperwork and government red tape, Eastman’s Forgotten Ciders was finally allowed to begin operations… but where? With all the “i’s” dotted and “t’s” crossed, the company needed a place where they could produce, sample and sell their cider. Not having a big company's funding or a huge sum of money to work with, the owners pooled their money and time to begin work on their new cidery and tasting room all by hand. At the time the idea was to start small and work their way up to a bigger cidery, which is where they ran into the next struggle. Forgotten Ciders took off faster than any of the owners anticipated and they realized that they had made the building just too small for the crowds they were drawing. The family says if they could have gone back in time, that they would have made the cidery at least twice as big. Working with what they have, the cidery still manages to pump out an impressive 1,300 gallons of cider per cycle with the family’s goal being to reach two cycles per year. As such an extreme amount of apple varieties are grown on the property, it is no wonder why Forgotten Ciders has so many types of cider in production, with so many apples to mix and match, the possibilities are endless. When the company first began producing cider they started with a respectable four varieties. Today, the company rotates through more than eight ciders depending on season, with a sweet cider currently in the works. The family likes to focus on making their cider in the traditional fashion, by fermenting them until they are dry, the only exception being the sweet cider they are currently experimenting with. 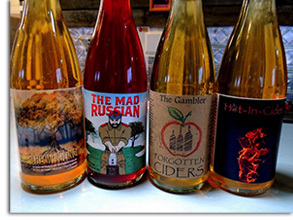 Some of the most popular ciders include: The Mad Russian, Hot-N-Cider, and Windmill Watcher. The journey hasn’t always been easy for the family behind Forgotten Ciders but if their experience has taught them anything it is that hard work, perseverance, and a little bit of luck are required to turn their dreams into a full functioning cidery. They can truly say they built their company from the ground up with their own hands and their passion shows through in all of their ciders. As of right now the company is not with a distributor, opting to give self distributing a go. All of the cider can only be purchased locally but if the company continues to trend as it has been, one would not be surprised to see a more widespread distribution in the near future. For more information visit Eastman’s Forgotten Ciders on Facebook. Photos courtesy of Eastman’s Forgotten Ciders. Developed from a secret family recipe using native Fuji apples and crafted in the ancient Maori lands, Tutu Cider made its debut in California this month. Kono, New Zealand’s leading indigenous beverage and food producer, is proud to bring their latest craft to the American beverage market. Kono employs approximately 500 staff, farms over 350 hectares of land and sea, and exports to over 25 countries. They harvest, produce and market the very best New Zealand seafood, wine, cider, apples, pears, kiwi fruit, hops and natural fruit bars, using sustainable methods to conserve the lands for future generations. “Having already garnered an excellent national and international reputation for our Kono, Tohu and Aronui wines, we knew that we had the skill and knowledge to present a unique offering to a growing segment of the beverage market,” commented Dan Taylor, Export Sales Manager, Kono NZ. The name Tutu comes from a Maori colloquial term for being cheeky and mischievous, fitting for the younger, sprightlier sibling of the Kono beverage family. At 5% ABV, this gluten-free delicious single varietal hard cider is crafted using the company’s very own Fuji apples, sun ripened on their ancestral lands in Nelson at the top of the South Island. From the planting of the trees, to the final bottling of the cider, the Kono team carefully crafts each step of the process, to provide a cider that offers a fresh, crisp fruit bouquet. 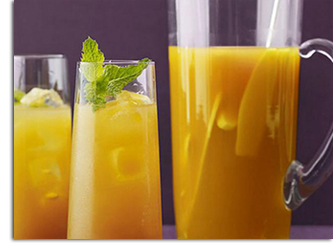 Tutu has a suggested retail price of $6.99-$7.49 and is imported to the United States by Total Beverage Solution. For more information on Tutu Cider, please visit TutuCider.co.nz. West Michigan’s own Vander Mill has brought the taste of craft-made hard cider and French country cuisine to their new restaurant and taproom in Grand Rapids. They opened the doors to the public earlier this month with dinner service Monday through Sunday starting at 5:00pm (lunch service to be added soon). With humble beginnings in 2006 as a traditional cider mill, Vander Mill began distributing their hard cider in 2008, expanding their facility in Spring Lake in 2013. Vander Mill distributes its products to convenience and grocery stores, bars, and restaurants throughout Michigan, Illinois, Indiana, Ohio and Wisconsin (which began this month as well). Vander Mill’s new production facility in Grand Rapids will more than quadruple their production capacity and give them room to expand at a rapid rate in the years to come. The new taproom will give patrons a bird’s eye view of their production facility and will feature a total of 20 items on tap, including a few beer and wine collaborations, and a menu set to rival the best restaurants in the state. Vander Mill has also obtained a distilling license and hopes to produce craft spirits in the future. Look for Vander Mill to bring several new products to the market in the coming years. “My wife Amanda and I started this business to bring people together around apples, donuts and family fun. I’m proud to say that 10 years later, the mission is still the same. Though with many twists and turns along the way, Vander Mill is that, and so much more,” said Paul Vander Heide, Owner of Vander Mill. With the opening of their 40,000 square foot production facility and new restaurant in Grand Rapids, Michigan, Vander Mill is undergoing their biggest expansion yet. To ensure that the experience is complete with amazing food to accompany their ciders, Vander Mill has assembled a talented culinary team led by experienced Executive Chef, Justin Large. “I’m thrilled to be a part of Vander Mill’s next chapter here in Grand Rapids. West Michigan agriculture and the Great Lakes region offer such a diverse bounty of wonderful products. From Michigan apples to Lake Superior whitefish and everywhere in between, I can’t wait to feature those products in the Vander Mill kitchen. Look for items like slow-roasted carrots from Victory Farms with caramelized onion, roasted hazelnuts and cracked coriander. Additionally, there will be our house-smoked Lake Superior whitefish toasts. We serve the fish on grilled spelt bread from Field and Fire, with homemade dill pickles, fresh herbs and shaved SarVecchio cheese from Wisconsin. Beyond our food, I’m most looking forward to debuting the Vander Mill brand of hospitality. We strive to create community here at Vander Mill Grand Rapids, and encourage our guests to come as they are. Whether you are dressed to the nines for a night on the town or in flip flops and shorts on your way back from a day at the beach, we look forward to welcoming everyone to the taproom. Come for the great cider and fantastic food, and stay because we’re friends and family,” explains Chef Large. 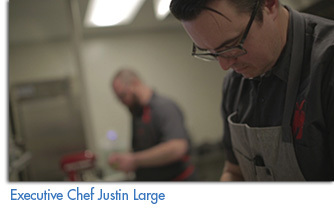 After fifteen years working as a Chef and Culinary Director in several of Chicago’s James Beard award-winning restaurants, Chef Large enthusiastically joined the Vander Mill team last fall and immediately made an impact at the Spring Lake location. 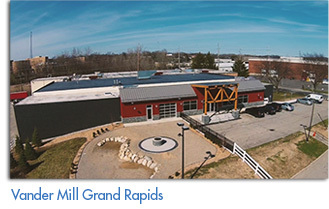 With a brand new menu kicking off the grand opening in Grand Rapids, the Vander Mill kitchen will truly celebrate everything West Michigan’s agriculture has to offer and patrons will have a chance to sample and fall in love with the many ciders on tap. For the Vander Heides the star of the show has always been the Michigan apple. In the beginning, the apple was highlighted in their classic non-alcoholic apple cider, a perfect compliment to Vander Mill’s house-made delicious cinnamon and sugar donuts. Fast forward to 2016, and the Vander Mill hard cider-making team is stronger than ever. At the helm is Dave Bayes, Bayes began his path to cider as a craft brewer over 18 years ago having helped open Old Boys’ Brewhouse in Spring Lake, Michigan. It was during that time as a brewer that he began experimenting with Vander Mill apple cider pouring it in beer, striving to find the perfect combination of malt, hops, yeast and apple. At Vander Mill, Bayes continues his quest for great taste as leader of the Vander Mill production team. “We ferment our ciders to showcase the apple – bright, clean and fruit forward. We also like to experiment with unique flavors like other fruits, spices and hops; and sometimes aging in bourbon barrels or new oak. 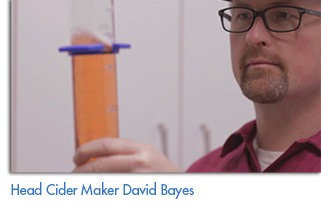 We are working hard to expand the taste of cider here in the US,” says Bayes. 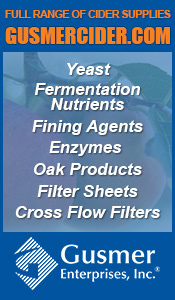 For more about the two Vander Mill locations, menus, ciders and more, please visit VanderMill.com. Photos courtesy of Vander Mill.